Leah's younger son had his first 24-hour pH probe test performed to determine the cause of his refusal to eat and failure to thrive. Why Is a pH Probe Test Performed? 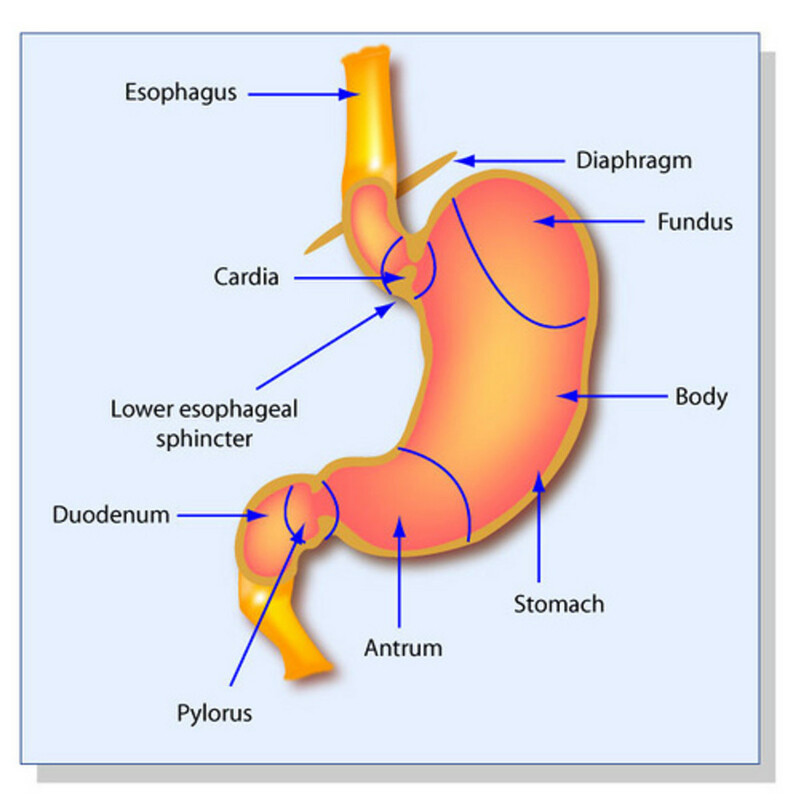 A 24-hour pH/impedance probe test will determine the severity of acid reflux in adults and children. This test is typically ordered to determine how severe a child’s acid reflux is, or to determine if prescribed anti-reflux medications are working. Sometimes, a child will have symptoms of acid reflux, but will not present with the condition on “lower level” tests (i.e., an upper GI barium series or a gastric emptying scintiscan test). 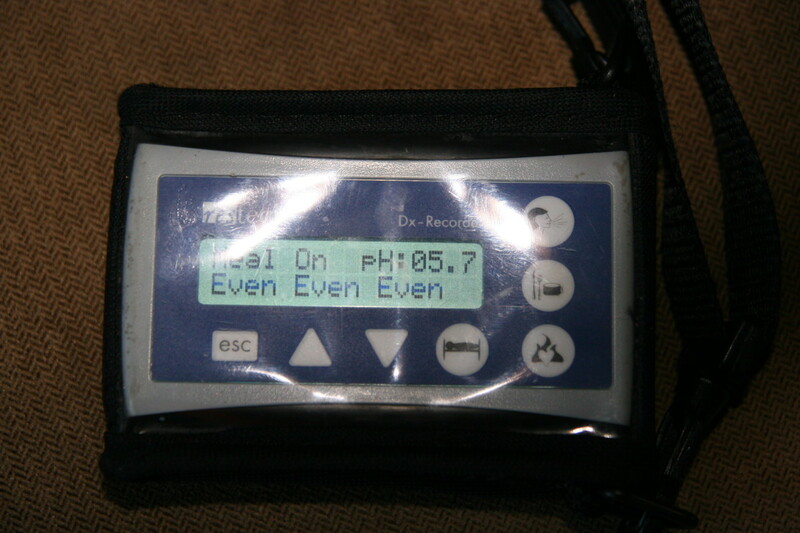 The pH probe test is the “gold standard” for identifying the presence of acid reflux and for quantifying the severity. While some children show outward symptoms of reflux (painful arching of the back, vomiting, and refusal to eat), some children have "silent reflux.” With this condition, the child does not vomit, and the acid often affects the airways and may cause pneumonia or asthma in a child with no other obvious symptoms. A pH/impedance probe is a thin wire which detects the pH level of acid reflux (a low pH will be recorded) and non-acidic reflux. The wire is threaded through the nose and into the esophagus. The most common type of probe is placed just above the lower esophageal sphincter. The placement is usually verified via x-ray. Some probes have two sensors: one at the lower esophageal sphincter, and another higher up to detect reflux in the airway. Another type of device is the pharyngeal “airway” pH probe, which is threaded through the nose and placed just behind the uvula. It does not detect liquid reflux and instead detects tiny droplets of acid reflux in the airway of a child with laryngopharyngeal reflux disease (also known as extraesophageal reflux disease or “silent reflux”). 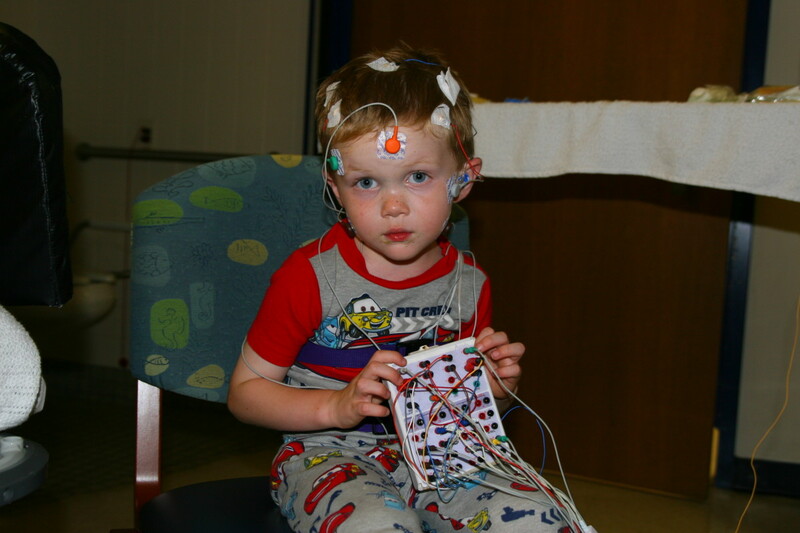 The traditional ph/Impedance study may be performed on an outpatient basis for older children. In this case, the child must lie still while the device is threaded through the nose and into the esophagus. The child is often awake for this process; the procedure is not painful, but it may frighten the child. It is a good idea to discuss the logistics of the procedure with children who are old enough to cooperate. Young children may have to be restrained with a “papoose board” during the insertion of the device. Many times, the probe is placed in combination with an endoscopic procedure and biopsy of the esophagus. If an endoscopy is performed, the child will be sedated for both the procedure and the device placement. This method is the easiest on the child, as the most traumatic part of the procedure (the placement) is performed while the child is asleep. 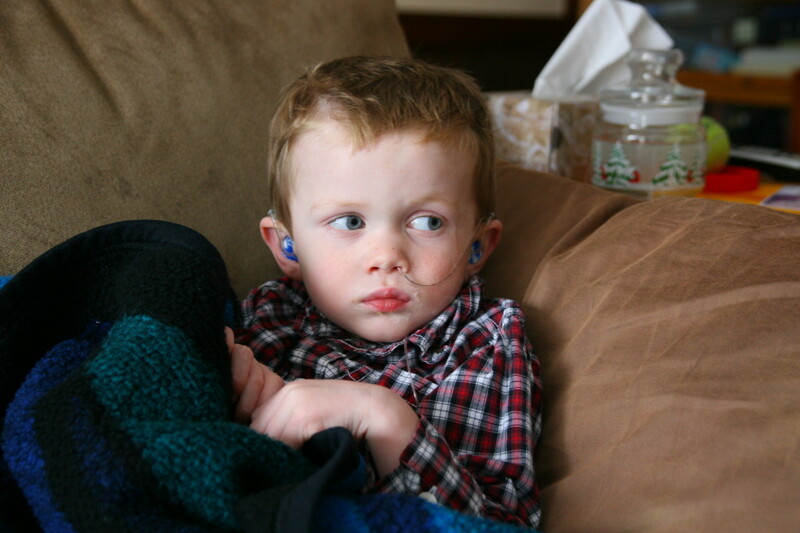 Once the probe is placed, the wire will be tucked behind the child’s ear and taped securely into place. The wire will be connected to a monitoring device, which will record any episodes of reflux. 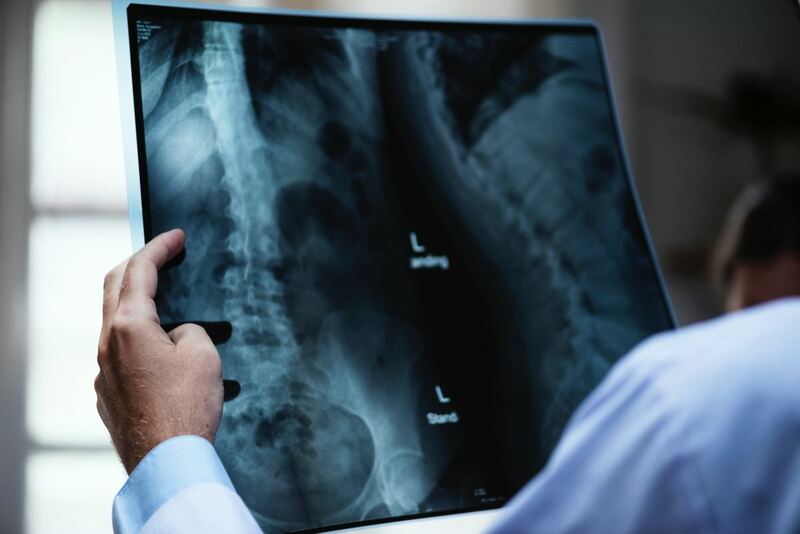 The placement of the device will be verified with an x-ray, and the child will be allowed to either go home with the parent or will remain in the hospital for an overnight stay. 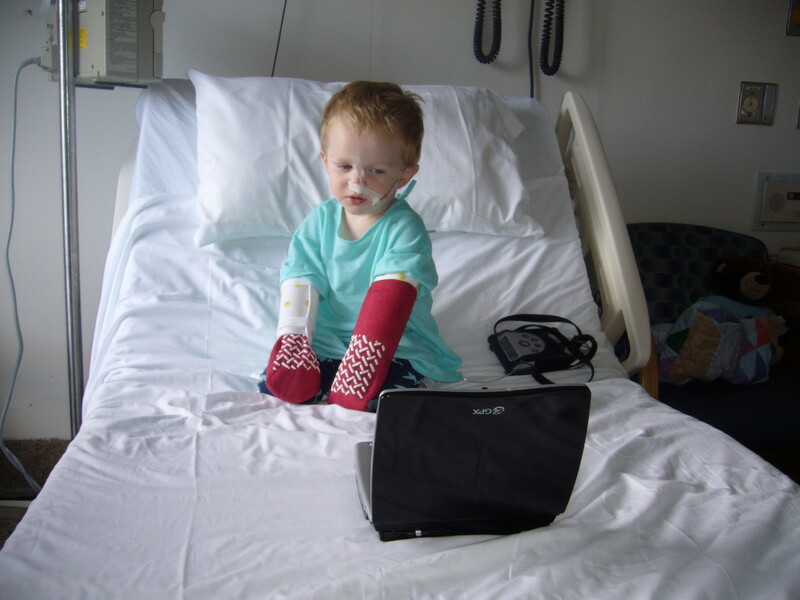 Very young children will often be admitted to the hospital for an overnight stay. Special armbands called “no-no’s” are used to prevent the child from pulling out the device. It is highly important to keep these on the child’s arms—if the probe is pulled out, the entire test will have to be repeated. For older children who are allowed to return home, it may be a good idea to request “no-no’s” for use while they sleep. A child may accidentally pull out the device during sleep, and the entire test would have to be repeated. In addition, request extra adhesive tape to resecure the probe if the original tape gets wet. The monitoring device has several buttons which parents will have to activate when certain activities are performed by the child. Any indication of heartburn during activities such as eating or sleeping is to be recorded by pressing a button. Parents will be required to keep a log of all of the child’s food intake and meal times, in addition to sleep times. The results of the study are often available 1-2 weeks after the test has been completed. Once the data is analyzed, the test will show if the child has gastroesophageal reflux disease (GERD) and the severity of the GERD (if present). Our own son had his first test run to determine the cause of his refusal to eat and failure to thrive. He had no outward signs of acid reflux, and his upper GI barium x-ray was entirely normal. He also had a gastric emptying scan which did not indicate any abnormalities, even though the scan lasted for an entire hour! He was admitted to the hospital and had the probe placed while he was sedated for an upper GI endoscopy. He was only 2 years old, so he was kept in the hospital overnight. The “no-no’s” were placed on his arms, along with socks over his hands. This was a very trying 24 hours, as it is hard to entertain a toddler who cannot use his hands or play in a rambunctious manner. A portable DVD player is a lifesaver in this situation (there is little else the child can do to keep entertained). The probe was removed 24 hours after it was placed, and the removal procedure was very quick. We went home and waited for two weeks to get the results. Once the results were obtained, we were shocked. His reflux was so severe, he was literally off the charts for the amount of time he spent with acid in his esophagus. Over 25% of his day was spent with a pH of 1 (this is pure acid) in his esophagus. He was prescribed a proton-pump inhibitor medication and we began to see an improvement in his eating habits. He went from below the 3rd percentile on the weight charts to a healthy 20th percentile within a matter of months. Some children with silent reflux will have chronic ear infections, chronic sinus infections, laryngomalacia (a floppy airway near the larynx or voice box), frequent upper respiratory infections, or difficulty swallowing (dysphagia). This form of reflux, called laryngopharyngeal reflux disease (or LPR), is distinct from GERD. LPR is caused by a dysfunction of the upper esophageal sphincter. Often, LPR reflux is managed by an Ear, Nose, and Throat doctor (ENT) rather than a gastrointestinal specialist (GI). Restech has developed a pH probe which can detect tiny reflux droplets in the airway of the child. This device is much shorter than the traditional pH/impedance test probe and sits just below the uvula (the dangling tissue in the back of the mouth). 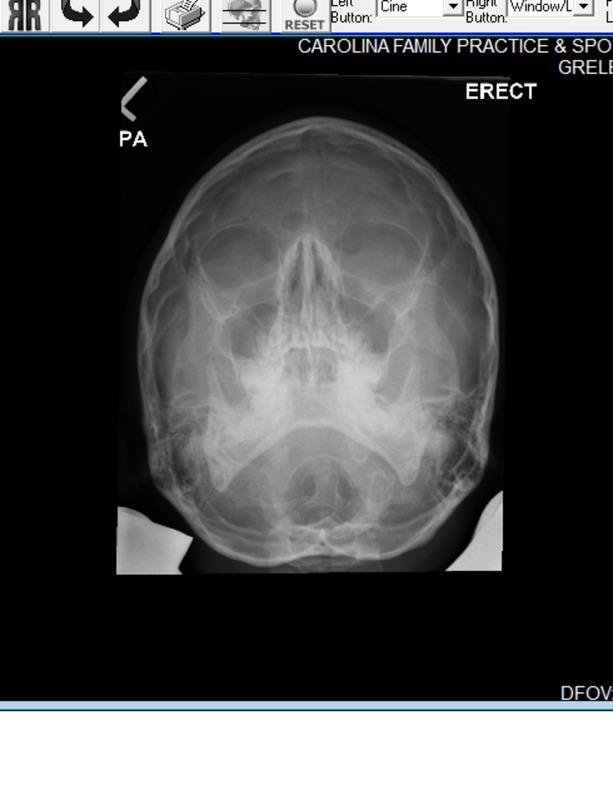 Due to its positioning, it does not require an x-ray to verify placement because it can be determined by looking into the child’s mouth. A red, blinking light can be seen when the child opens his mouth and the tongue is depressed. Children with chronic upper respiratory problems may have this test performed. Sometimes, silent reflux is difficult to control with proton-pump inhibitors and acid-blocking drugs. A doctor may order this test while a child is on medication to determine if the drugs are working for the child. 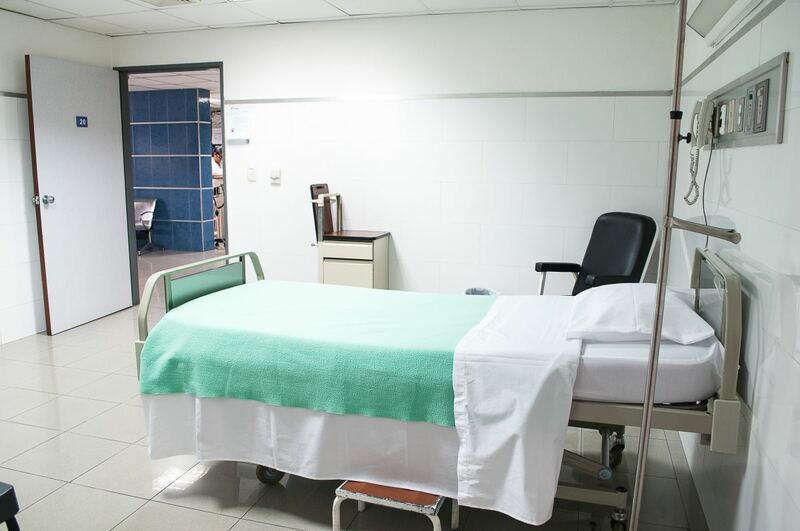 This particular probe is generally placed on an outpatient basis, usually in an ENT’s office. The Restech monitoring device is wireless, so the child does not have to carry it on their back. It only records within a limited range, however, so be sure to keep the recording device near the child at all times. Like the traditional pH probe, the child’s activities will be monitored by pressing buttons on the device during eating, sleeping, or episodes of heartburn. A log will be kept by the parents to record the child’s daily activities. Some very young children will be admitted as inpatients for this test. Our son developed severe obstructive sleep apnea at the age of 2 ½, and the cause was found to be an acquired form of laryngomalacia (a floppy larynx). 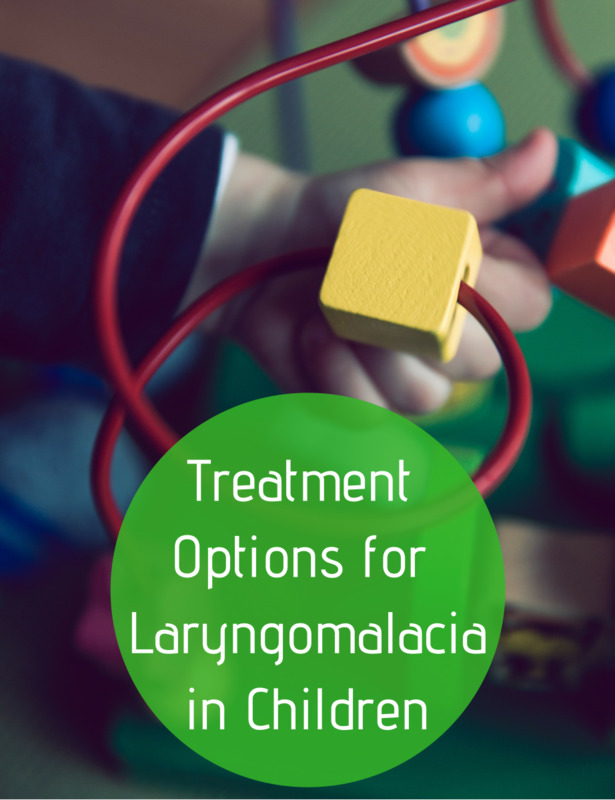 After having four sets of ear tubes placed for chronic ear infections, the development of laryngomalacia, and episodes of chronic sinusitis, our ENT wanted to determine if his medication dosages were effective in controlling his reflux. 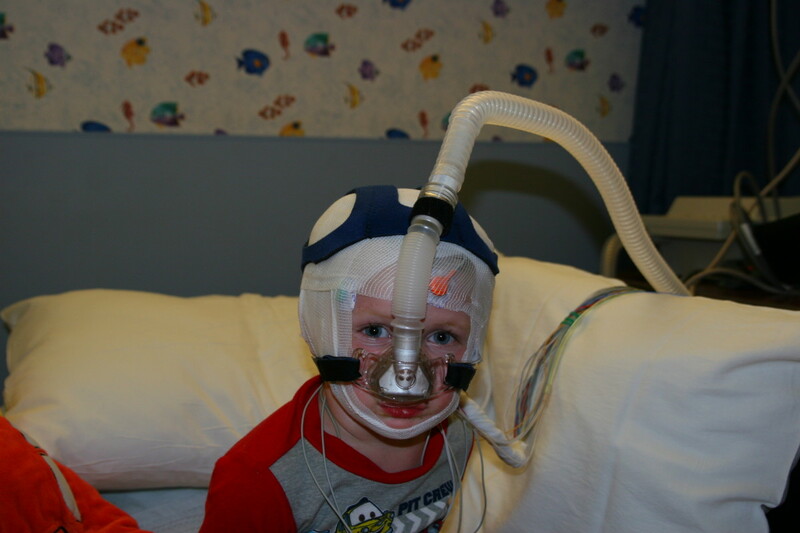 A pharyngeal probe was placed when he was three years old to monitor the amount of reflux hitting his airway. 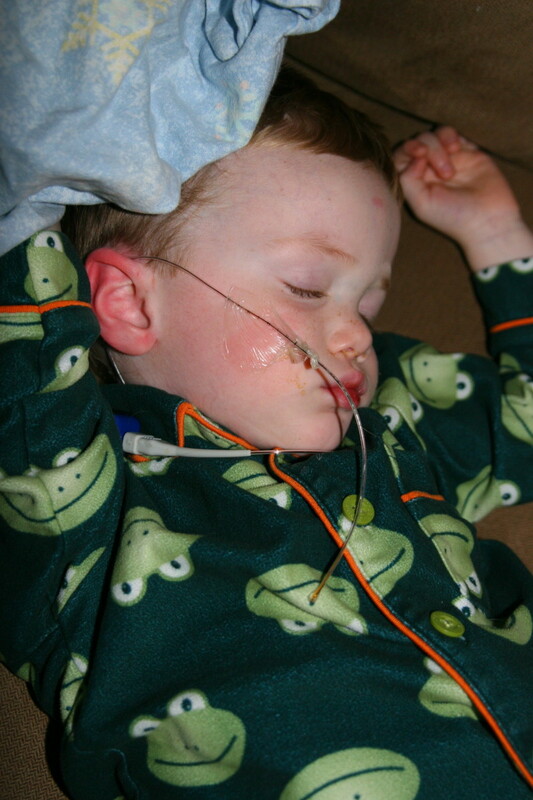 We had to see if his symptoms were under control prior to fixing his floppy airway with surgery. This probe was placed on an outpatient basis, and we had to monitor him at home for the duration of the study. He was extremely good about leaving the device alone, so we left the “no-no’s” off this time and allowed him to play quietly at home. At the age of three, the process was much easier because he had the use of his hands and understood that he could not fiddle with the device. Unfortunately, the tape holding the probe in place became wet throughout the night. To our utter dismay, we found him asleep with the device dislodged at about 5:00 am. This was highly frustrating, as there was a high likelihood that the entire test would have to be repeated. We returned to the ENT’s office where the data was collected. We were contacted shortly after to find out that they did have enough data. This was a huge relief, as we did not want to have to repeat the test. Unfortunately, they showed that his medication was not controlling the reflux. They prescribed an acid-blocking medication, and we had to repeat the test to demonstrate that the symptoms were adequately controlled. The second placement went well, and we equipped ourselves with a lot of extra medical tape and the “no-no’s” for use at night. Fortunately, the device stayed in place and gathered enough data to show that his symptoms were sufficiently controlled for the airway surgery to take place. It generally takes about 1-2 weeks to obtain the results of the studies. The doctor will discuss the results at a follow-up appointment, and will also determine any appropriate treatment strategies. The traditional pH/impedance test will determine the total percentage of time the pH in the esophagus drops below 4. It will also determine the amount of time the pH is below 4 when the child is upright vs. lying down. The number of reflux episodes will be calculated, along with the number of episodes greater than 5 minutes. The time period of the longest acid reflux event will also be recorded. A common scoring device for the traditional ph/impedance test is the DeMeester score. This score takes a composite of the data obtained for the parameters above, and a normal DeMeester score is less than 14.4. The pharyngeal reflux probe uses a different scoring method called the Ryan Score. The normal values for acid exposure in the pharynx are less than the esophageal scores; a Ryan score of 4.88 or higher indicates the presence of LPR. Hopefully most children won't have to undergo this procedure, Sheen, but we were looking for information when our son had to go through this process. It is a difficult test to have performed, but gave us very valuable information and now our son is doing very well with the proper treatment. My heart goes out to you, Sandy. Nolan has had several impedance probes over the years. He was sedated for the placement of the first probe as they did an endoscopy/biopsy at the same time. We were fortunate that time as they kept him inpatient overnight and monitored him, which helped us keep it in the full 24 hours. The next few times, it was placed without any sedation and was difficult (although short) during the process. They used a "papoose board" to keep him from moving while they placed it. We did have one come out in the middle of the night once, and we requested "no-no's" for use at night after that. The "no-no's" are arm braces that prevent the child from bending their elbows and pulling out the probe. It might be worth requesting those. It is tough enough to do the probe once, and you don't want to have to repeat it if it gets pulled out. I would recommend using whatever method of distraction works best for him. Our son loved the movie Cars and would watch it on a loop during medical procedures. If an iPad, movie, or any other form of entertainment keeps him occupied, I would use it without limits while he has the probe in. I was so thankful to see your very well documented post on this, I was searching everywhere to learn more about what goes on during this procedure and found your blog. Our 2 year old son is scheduled to have one of these procedures soon, he is petrified of hospitals and doctors now and if he sees a set of scales to get weighed he screams. He also has some minor sensory issues and does not do well with things that are uncomfortable. He also likes to play using his hands and loses focus quickly on other things. The doctor told me he would not remember most of it but would be aware. Was your son sedated at all? I am very concerned he will just flail all night long trying to pull the tube loose, I also don’t want him under a lot of sedation either. 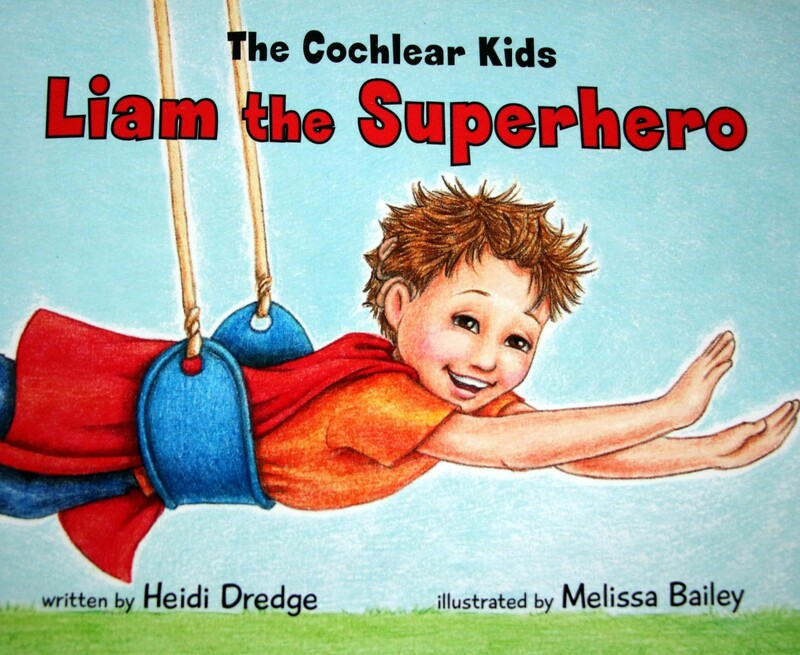 We failed multiple hearing tests (he has tubes) because he couldn’t get through those when he was younger. Hi Tina, my little one has had several performed. Are they going to place it when your grandson is awake, or will they place it when he is under sedation for an endoscopy? The placement is the most difficult part of the procedure - it is not technically painful, but is uncomfortable. Nolan (my boy who is now six years old) has had several - one was placed while he was asleep, but the others were placed while he was awake. Once the probe was in place, he was fine - but he was very upset while they were placing it. Luckily, that is very short-lived and they can usually get it placed very quickly. 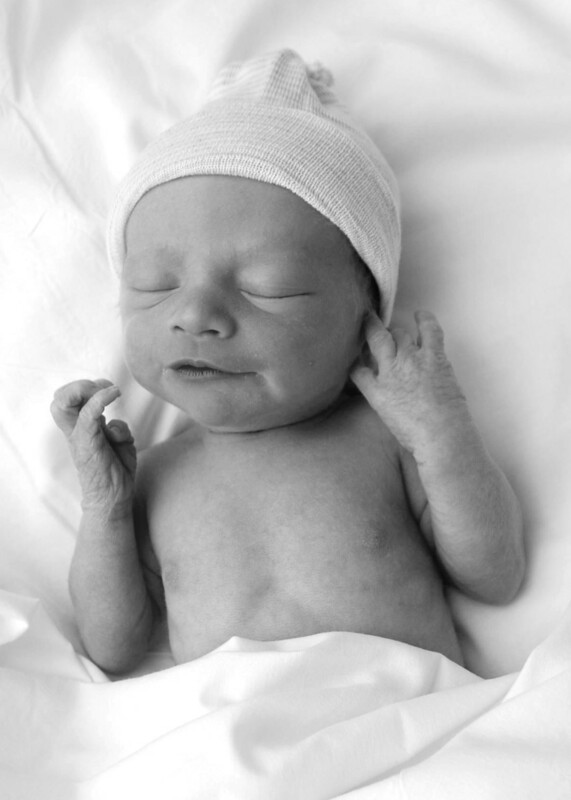 Many infants are kept overnight for observation when one is placed, so that is a big help. We are sent home with Nolan's in place, and we always ask for the "no-no's" to keep him from pulling out the probe in his sleep.